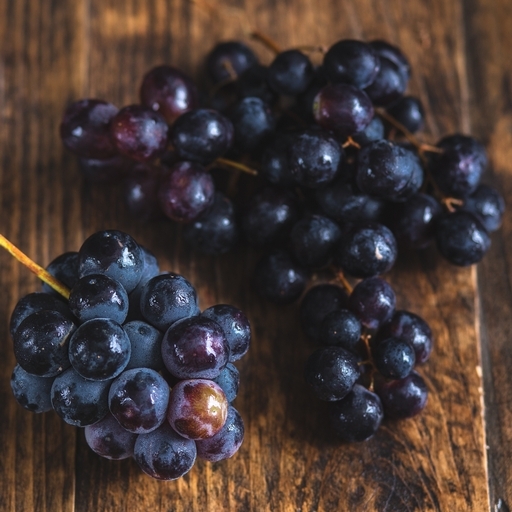 Black seedless grapes chosen for sweet, juicy flavour. Varieties include Alphonse, Lavelle and Sweet Sapphire. Enjoy straight from the bunch – no pip spitting required! Try them mixed into a fruit salad, on top of your morning muesli, or as a pop of colour and sweetness alongside our organic cheese. Store in a fruit bowl or, when ripe, in the fridge. Delivered fresh from the farm so wash before eating. Our grapes are sold as class 2. This means that they might not look cosmetically perfect, but they are grown for the very best flavour. (We have to tell you this to satisfy some EU rules).